What Makes Censorship in China So Effective? The government's system of monitoring the media is only part of the story. As any writer living and working in China knows, there’s the truth, and then there’s self-preservation. For reporters and editors working at Chinese-language publications, the choice is simpler if no less distressing—they have spent their lives learning what can and can’t be said, and safeguards ensure that what can’t be said never will be. But Chinese censorship presents a unique predicament for the growing number of foreign writers based in the country, as they attempt to negotiate the rocky path between journalistic and personal ethics, and keeping their jobs—not to mention their visas. In his recently released memoir, Apologies to My Censor, reporter Mitch Moxley recounts his year spent working at China Daily, the government’s main English-language newspaper, during the lead-up to the 2008 Olympics. Less a muckraker than a confessional, Apologies interweaves Moxley’s experience as a stranger in a strange land with an account of what it was like to work at the paper. Encapsulating the gulf between Western imagination of China and the disappointing reality is this fantasy that he spins before leaving for China: “When I arrived in Beijing, I wanted life at China Daily to be crazy, movie-premise crazy, communist spies leaning over my shoulder, filtered e-mails, phone taps and threatening late-night altercations with men in Mao suits. In my imagination, I would be a fly on the wall and expose the massive state propaganda apparatus from within.” The reality, he discovered, was much less interesting—censorship as he experienced it was more Kafka-esque than Stalinist, comprising a humdrum series of last-minute deletions and substitutions based on the political whim of an editor or a dictate from the Propaganda Department. If this revelation is disappointing, that’s because censorship in China remains murky even to those who deal with it every day. Moxley describes being told to write stories that were later rewritten or nixed at the last second, having entire countries banished from the news pages based on political caprice, and generally having no idea what was going on behind the scenes from one moment to the next. How common was Moxley’s experience? According to David Green, a British journalist who worked at a China Daily supplement around the same time, very. While this wasn’t universally true for foreigners working at China Daily (Apologies mentions several Westerners who had achieved higher-up status in the organization; “scruple-less yes men,” as Green calls them), Moxley and Green say that English editors were generally shut out of the editorial process. Part of this had to do with the fact that foreigners weren’t allowed to serve as reporters, only as editors who could occasionally pitch stories, but there was a more basic issue: most didn’t speak Chinese, which meant that it was easy for the paper to keep them in the dark. 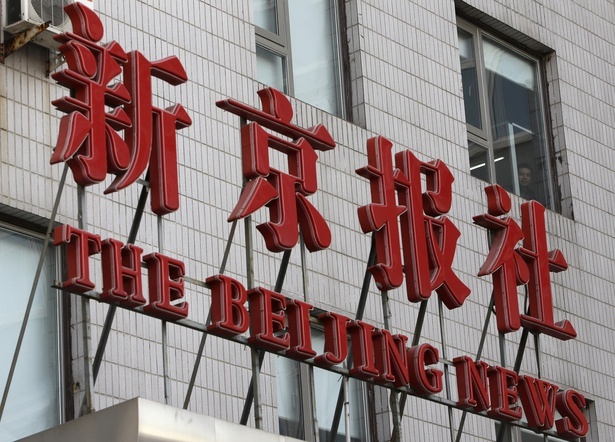 Ultimately, senior editors rely on a keen understanding of what will or won’t pass muster in order to keep the machine running smoothly at publications across China. In other words, self-censorship. Smaller publications—which often lack the staff to watch out for political mistakes—have to rely on other means to avoid attracting the censors’ scrutiny. At a cultural magazine where I worked for a year, called The World of Chinese, we had a style guide that included an entire section dedicated to “political incorrectness.” It contained rules common among Chinese publications: “mainland China” had to always be written as “the Chinese mainland”; Taiwan, Hong Kong, and other disputed parts of China could not be implied to be separate countries (i.e. “the company has branches in Taiwan and Japan,” was prohibited); and we were never, ever to use the old name for Taiwan: Formosa. Once, while I worked there, we had to strike a map of China from the travel section because there was too great a risk of it not including disputed territories, such as the Diaoyu Islands (known as the Senkakus in Japan). In another, we were forced to get rid of an image of a cupcake sporting the Chinese flag in honor of National Day because, we discovered, the Chinese flag must not be displayed so casually. No one was happy about these restrictions, but the risks of making a mistake for a small magazine like The World of Chinese were too great—one slip-up could lead to a huge fine or worse: getting shut down. Censorship remains an unavoidable part of living in a country that regards a free media as a fundamental threat to its stability. Young foreign journalists who arrive in China usually understand that life in the Chinese media will present them with a unique set of challenges. Nevertheless, both Green and Moxley were put off by the pervasive politicization—particularly on sensitive topics such as Tibet. Luckily it’s not a conflict that most foreign editors have to deal with for long; like Green and Moxley, most young writers and editors flee state media after a year or two in favor of freelancing, expat publications or another line of work entirely. Because the trouble with working at established publications is less being censored as the tendency—out of self-preservation, out of exhaustion, out of a desire to save yourself trouble—to censor yourself. Liz Tung is a writer in Beijing.